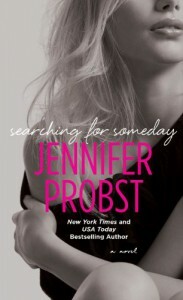 If you have read any of Jennifer Probst’s books before then you know she is a fantastic writer. In her marriage to a billionaire series, which I adored, she blended romance and steam with a unique touch of supernatural. She does the same thing in this new series Searching For. Kate has “a touch” which basically shocks her if she touches two people meant to be together. She uses this gift to help her in her matchmaking business that she and two friends started after college. This is a gift that has been handed down from generation to generation in her family. At this point in her life she has accepted it, even embraced it, but it was not always this way. She had trouble relating to other people because of this and her stuttering for most of her life. Kinnections her matchmaking agency is doing very well, she has terrific friends, and an amazing dog but her life is still missing something. Love. She has been on too many dates to count but none of them have shown any potential. In the beginning she is so desperate to find someone that she considers a man who lied to her about his entry level job, lives with his mother (and is a sloppy eater too), things she found out while on a disastrous date with him. Slade is a jaded divorce attorney who doesn’t believe in love, and is definitely not looking for it. He has been burned in the past and has no intention in settling down again. His sister Jane has also been through a lot of disappointment with love, and he has seen her hurt very bad from this. So when she decides to go to Kinnections and give love another try, he is frightened for her. Believing that the matchmaking company is a scam to take her money. Because of this he decides to go there and give them a piece of his mind. Somehow before he leaves, he is a client too. He has decided to prove they are a scam firsthand so that his sister won’t get hurt. But even though they both frustrated the heck out of me, I did like both of the characters. I wanted them to have their HEA from early on. As for the follow up books in the series, I’m not sure who is next but I’m sure both of her college besties and co-owners of Kinnections will get a book. Overall, I liked but not loved Searching for Someday. I think it was mainly because I am not a huge fan of lighthearted romance. 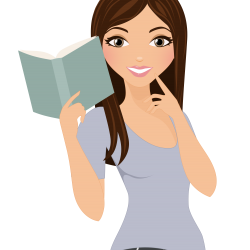 I veer toward the heavy, emotionally intense romances that leave you with a book hangover. This one left me with a smile on my face, and a light heart. If that is what you are looking for, this would be a great choice!